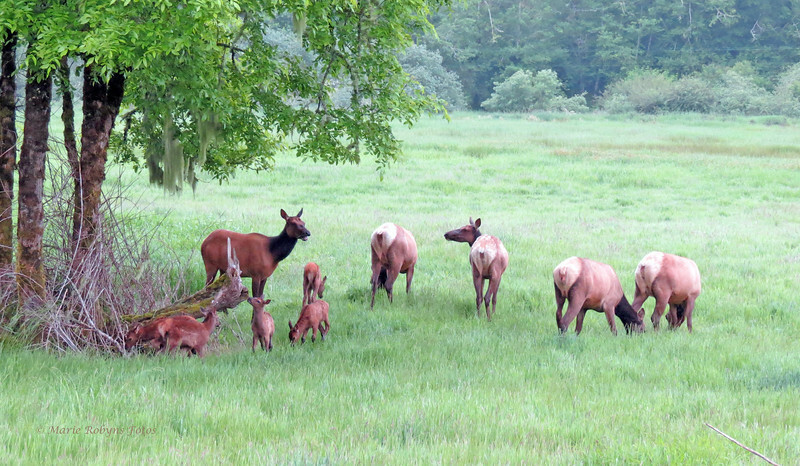 Cow elk grazing after giving birth at Dean Creek Elk Viewing Area. The cow elk on the left calls her calf, and the calf runs in her direction. Photographed June 1, 2012 at 5:17 am.